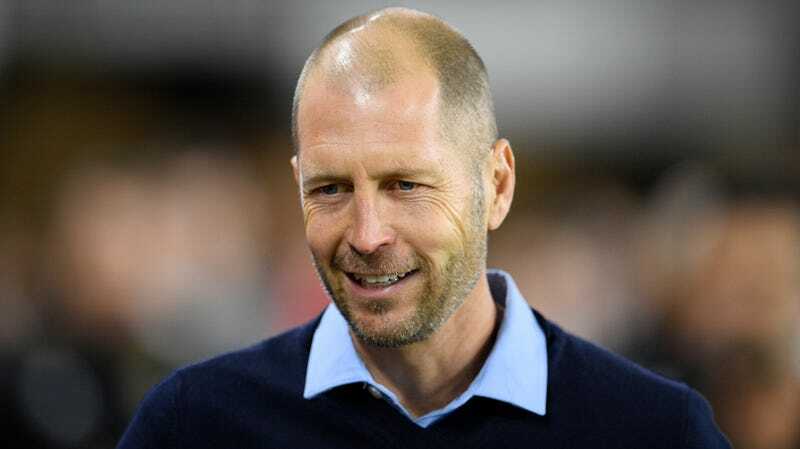 U.S. Soccer finally made it official: Gregg Berhalter, who has spent the past five years coaching the Columbus Crew, will be the new coach of the U.S. men’s national team, as has been evident for months. Before falling in line behind a coach, who, by nearly all accounts, is respected and capable, let’s remember just how much U.S. Soccer bungled this whole hiring process. First, U.S. Soccer reportedly only formally interviewed two candidates, Berhalter and former FC Dallas coach Oscar Pareja, despite the fact that there were many others qualified candidates available, including former Spain national team manager Julen Lopetegui, who reportedly expressed interest in the USMNT job. Second, for a hiring process that failed to thoroughly consider the best available candidates, it took forever. More than 14 months have passed since Bruce Arena was allowed to resign in disgrace after the USMNT missed qualifying for the 2018 World Cup. That it took this long to settle on a largely preordained choice suggests some serious malfunction within U.S. Soccer. I’m not saying the fix was in when it came to naming Berhalter, but it just looks bad. U.S. Soccer has insisted that Jay Berhalter has not been part of the search process for the USMNT coach because his work no longer involves the technical side of the game. But he was heavily involved in the hiring process for Stewart, the GM, who is the one in charge of hiring the coach (which also requires the approval of the U.S. Soccer board of directors). There’s nothing wrong with using analytics as a tool to help make a hiring choice. Having more information is good, which is why it would have been better had Stewart interviewed more candidates. But it’s also crystal clear that Jay Berhalter had a major role in the process that resulted in U.S. Soccer hiring Gregg Berhalter, a process that did not view Martino, Vermes, Marsch, Ramos, Osorio, Bradley or Lopetegui as serious candidates. Being Jay’s brother should not have disqualified Gregg from being a candidate for the job. It should have absolutely disqualified him from appearing to be the only serious candidate. Anyhow, good luck to Gregg.